When working with many interpretation windows, things can quickly get out of hand. DUG-Insight has some useful tools to help manage your views. From the Windows menu in the Control Panel, you can view a sorted list of all open windows. Select an entry to bring it to the foreground, or use the cascade option to lay them out in order. 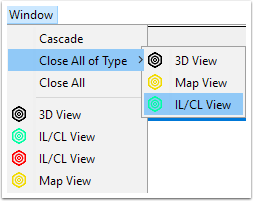 The Close All of Type option quickly closes multiple 2D views or IL/CL views in one go. Use the Close All option to close all open views! Don’t forget the most important hotkey of all: use the Space Bar to bring the control panel to the foreground! When closing a view, DUG Insight keeps the settings stored for safe keeping. 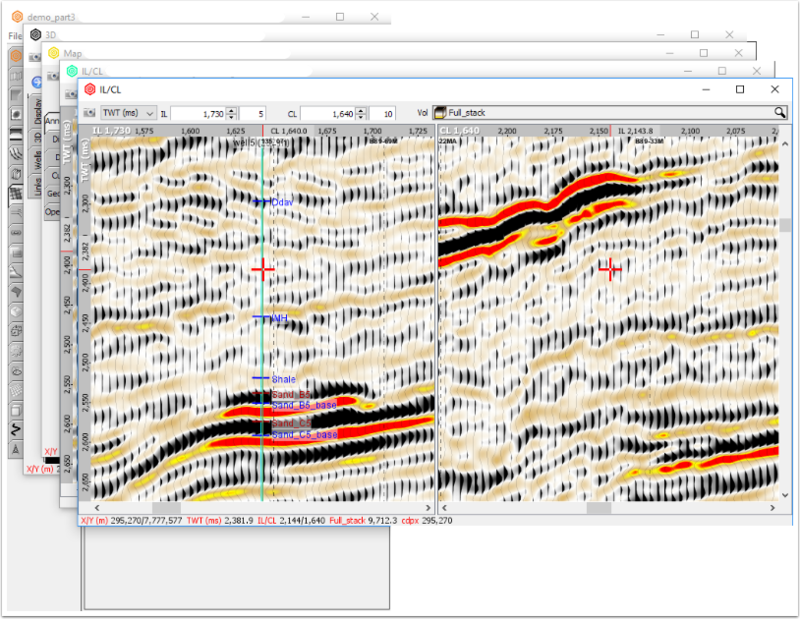 For example, if you close a 2D line and reopen it, the view settings are restored! Be careful though, settings for closed windows are only stored temporarily. If you save the session, the settings and details for closed windows are not included! Views must be open to be saved in the session! Next: Insight runs Cross Platform!